The Dredging is done, the Dredge is gone! 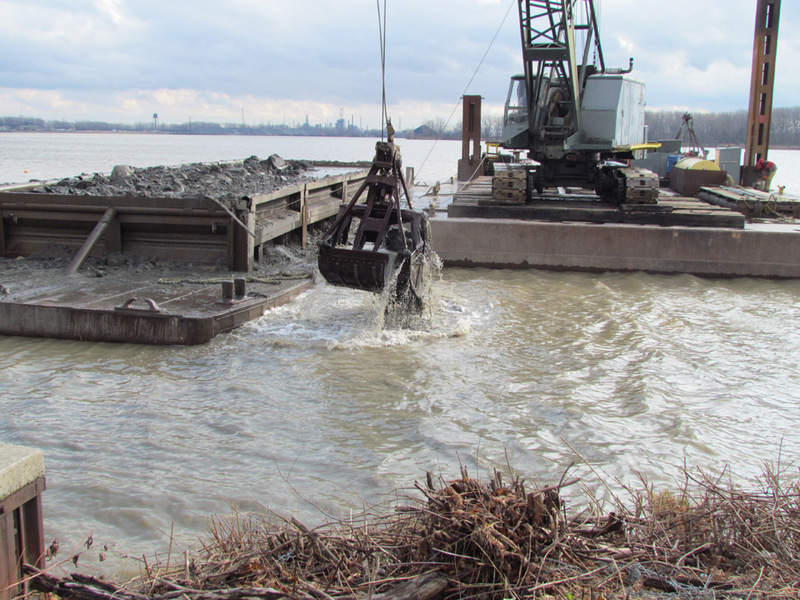 | Cullen Park & "Visions of Cullen Park"
The Dredging is done, the Dredge is gone! Well, it was a long 4 1/2 months for all those sightseers that came by, including those “diehard” guys, the ones that kept all those benches warm, day-in day-out, so much so, that it was suggested that they should have the Post Office deliver their mail to Cullen Park! I am sure it felt much longer for the crew who did the dredging. It was calculated that the crane dropped that clam shell bucket into the water, rotated it over the barge, then opened the bucket, repeating that a minimum of 30,000 times! We would like to thank Ken Socie of Wohlleb-Socie Co. and his crew for a very conscientious job – well done! Also for providing the opportunity to take photos of a life time for so many of us, thank you. 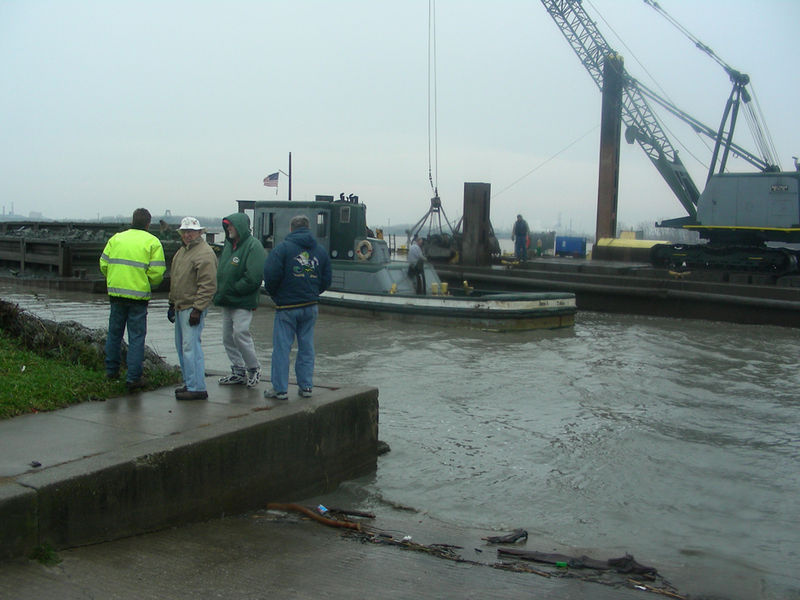 Ken, could you let us know where and when your next dredging job is, so we can post it here, because we think that all those “diehard” guys are probably having withdrawals, not knowing what to do with their time now days and will need to find your next dredging operation! Now, it’s just a matter of time (spring), before the results of everyone’s efforts will be realized, a parking lot full of vehicles with empty boat trailers! also to see a constant flow of boaters, safely zipping in and out of that new channel, now not having to keep an eye on the water levels, for many years to come! Below are pictures showing that last bucket being brought up from the bottom, then there’s those faithful “diehard” bench warmers!